Handheld water bottles perfect for ultramarathon runners looking to minimize weight and maximize comfort and convenience. Each comes with a small, zippered pocket for keys, credit card or gel, a tension-lock hand strap with reflective tape, and, best of all, are 100% BPA-Free. With an extra 0.3 litres of storage space; twin stretch mesh pockets for energy gels or bars and a secure pocket with velcro closure for a car key. Minimalism comes to hydration - the Scott Jurek handheld bottle is the most efficient way to carry a small water bottle in the hand. Includes 350ml FlexForm ergonomic bottle with silicon bite valve. Minimalism comes to hydration - the Scott Jurek handheld is the most efficient way to carry a larger water bottle in the hand. Includes 600ml FlexForm ergonomic bottle with silicon bite valve. The Fastdraw Plus handheld water bottle is ideal when longer runs are in your plan. It comes with a 0.6L / 20 oz. bottle with the fan favorite Kicker Valve Cap. And for you marathoners, the Fastdraw Extreme handheld water bottle comes with the same 0.6L / 20 oz. bottle with Kicker Valve Cap as the Fastdraw Plus, but adds a neoprene insulation band that wraps around the bottle keeping your liquids cold as you pound out the miles. Keeping liquids cold in hot weather (desert/jungle) & hands warm in cold weather. 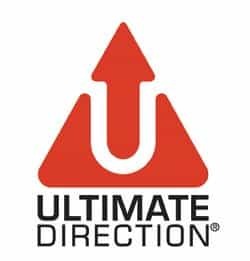 The ULTRAmarathonRuning Store is the Ultimate Direction UK and Ireland online supplier/retailer. We also ship internationally, including to the US & Canada, Europe, Australia, New Zealand and the rest of the world. Product pages include links to Ultimate Direction reviews and videos. If you have any question or request please Contact Us.